Autumn is just 12 short days away. So how best should we celebrate the last days of summer? And more so, how do we enjoy a school holiday? 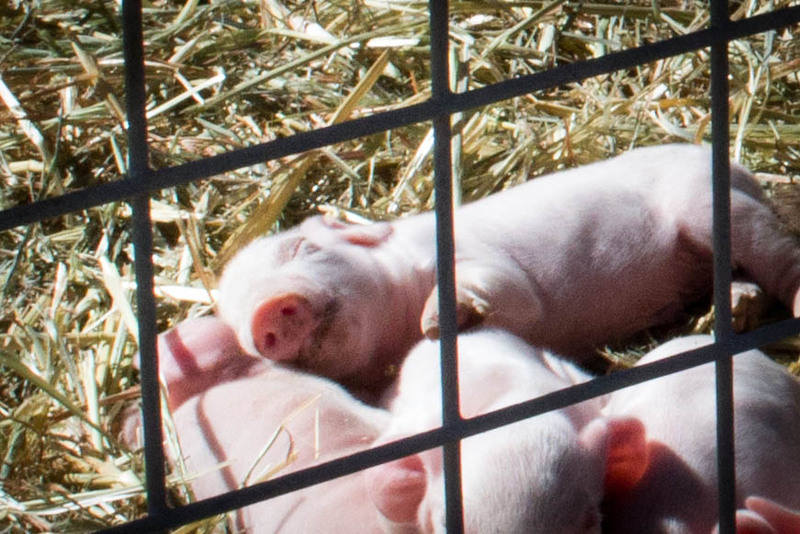 springtime piglets. (c) The Joyous Living. Go a-Picking! You heard me... go a-picking. ;) I think I just made up a term there but I think it's the perfect day to go pick some fruit and vegetables at your local farm. In the Ventura County (Moorpark, CA) we have Underwood Farms where you can go a-picking, ride the "cow" train through the field, see the farm animals and play to your hearts' delight. Perhaps there is a similar farm near you? Just imagine the carrots, cucumber, lettuce, peas, peppers, squash, raspberries and etc. you could round up for a delicious and hearty summer salad! And it could even be a great educational experience for the younger ones that are home from school. For more details visit my previous post here.